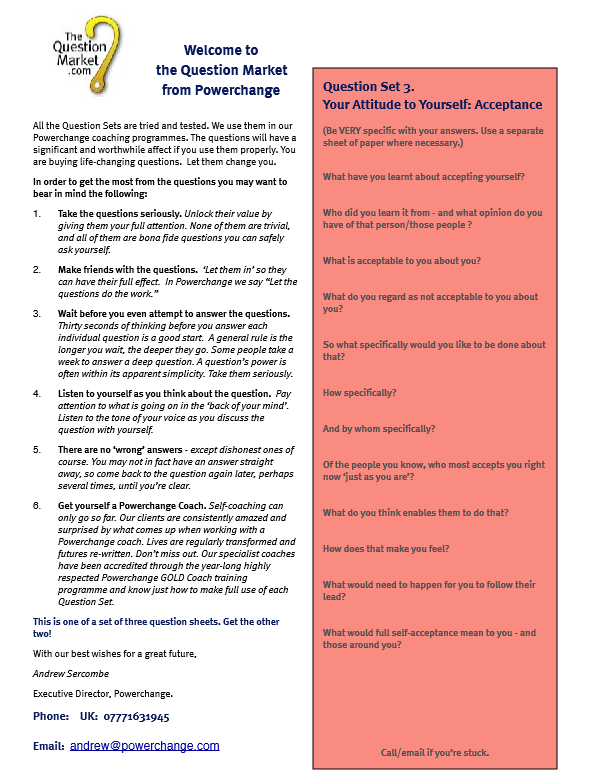 This Questions Set is tried and tested to measure your client's attitude toward themselves in terms of Self- Acceptance. The questions will have a significant and worthwhile affect if you use them properly. You are just about to download life-changing group questions. Try them first on yourself and let them change you!